Find here the best Ryder coupons, deals and vouchers. Founded in 2012 in Melbourne, Australia RYDER instantly earned cult status amongst the fashion vanguard for its unique take on vintage design, prints and bohemian style. Founder Penny Brown brings her vivid memories of beach side holidays as a child to life in each collection embracing the cultural meld of urban life with the Australian countryside. Inspired by a desire to create collections that transcend seasons, creating clothes with a unique visual language that are both feminine and bohemian. Nonconformist in its approach to design RYDER collections are made up of a mix of flannel, denim, lace & leather with each piece expertly crafted around the notion of the brands core philosophies and vintage inspiration. Passionate about sustainability of design – Penny creates clothing that will withstand time and fleeting fashions. She knows all too well that once you have found the perfect pair of denim shorts, throwing them away because the style has changed is unthinkable! The Ryder wardrobe is designed to be added to, rather than be replaced every season. 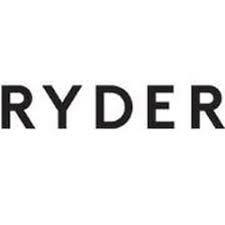 With the successful launch of ryderlabel.com in 2012, RYDER opened its flagship Australian store in Armadale in 2013. RYDER can be found in selected boutiques worldwide.